Arctic Fox Air Conditioning and Heating specializes in tuning up air conditioners. With over 10 years of air conditioning maintenance service, we understand all components of involved and will inspect your air conditioner to make sure that all parts are working properly. A proper maintenance program for your home's air conditioning ensures that it is working safely, at its maximum efficiency, and will minimize the chance of breaking down at inopportune times. Often, when an air conditioner is not properly maintained, breakdowns that happen can end up being much more costly. Compressors that are not operating within their designated tolerances can fail, leading to very expensive repairs. Common problems found during air conditioning maintenance include clogged condensation lines, dirty evaporator or condenser coils, and leaky duct-work. 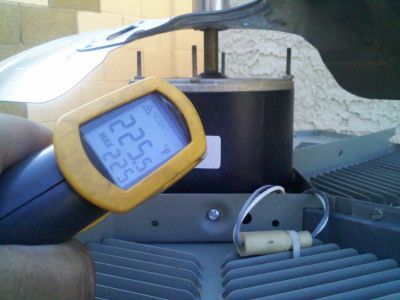 If we find any issues with your air conditioner, we will inform you and let you know the cost of the repairs. 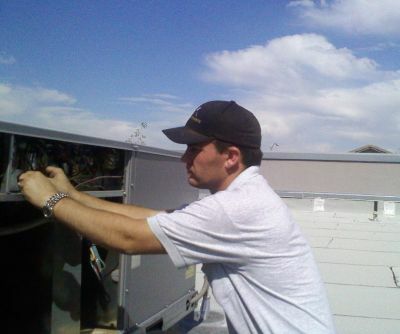 Arctic Fox Air Conditioning and Heating provides air conditioning maintenance programs for homes in Phoenix and throughout the communities of the West Valley like Sun City, Glendale, Avondale, Surprise, and Peoria. To schedule an air conditioning maintenance service for your home, call Arctic Fox Air Conditioning and Heating at 623-533-5718 today. You can also reach use with any questions that you may have about our air conditioning maintenance program through our Contact Us page.